In the early 1940s, Nick and Tony Schiro foresightedly acquired 1200 acres in Gibsonton, Florida, and began a cattle company, supplying beef to the U.S. military and hay to local dairies. By 1951, they began expanding their hay business by offering square bales for horses and sweet feed in 100-pound burlap sacks. Tony and Nick Schiro branched out into the breeding, selling and showing of Appaloosa horses, with a stable of 52 broodmares, advancing the King and Mansfield Comanche bloodlines. The original Gibsonton property was sold in the mid '70s, and I-75 was built right through it. It is now home to Ringhaver and Wal-Mart stores. By 1974, Nick's son, Bob Schiro, had begun to figure more prominently in the family business, and in 1975 they purchased the 187-acre parcel in Riverview, the location of Schiro's Hay and Feed today. In 2005, the Schiros acquired 72 acres of land in Lithia, this property to be used for hay and cattle, and the second Schiro's location on Causeway was launched. Sadly, Nick Schiro also passed away in 2005. 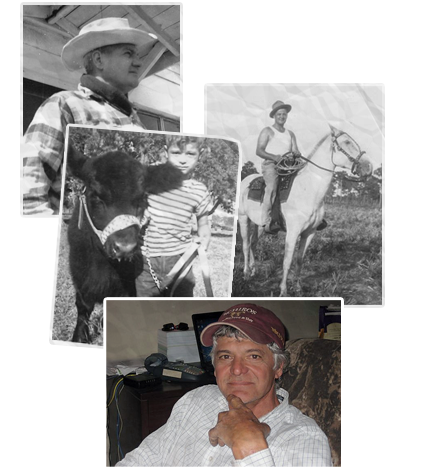 The legacy of Schiro's Hay and Feed now continues with Bob Schiro and his son, Stoney. The family was involved in Thoroughbred breeding and racing for more than ten years during the 1980s, but the following decade the business was focused strictly on hay, feed, and cattle. That tradition continues today, with hay being brought in from New Mexico, the Midwest, and eastern and northern regions of the country.